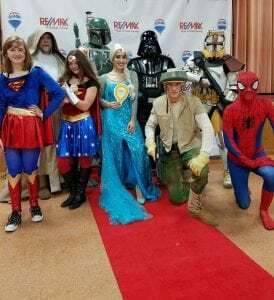 RE/MAX Real Estate Group is hosting a Princess & Superhero Pancake Party benefiting Children’s Miracle Network at Saint Vincent Hospital at Zem Zem Shrine Club on October 28th from 9am-1pm. Come dressed as your favorite superhero or princess and enjoy a delicious pancake breakfast! After your tummies are full, partake in pony rides, face painting, a bounce house, and more! Tickets are $7 for Adults and $5 for Kids! Come join us!